We’d love your help. Let us know what’s wrong with this preview of The Ugly Priest by Richard Stickann. If Father George Bernard had only known early on that the job of being a priest pounds the hell out of a man, his life choices might have been different. That pounding hit him countless times over his twenty years as a priest inflicting considerable damage on his soul and resulting in some bad choices. Jennifer was one, Helen another. He succumbs to the vulnerability every If Father George Bernard had only known early on that the job of being a priest pounds the hell out of a man, his life choices might have been different. That pounding hit him countless times over his twenty years as a priest inflicting considerable damage on his soul and resulting in some bad choices. Jennifer was one, Helen another. He succumbs to the vulnerability every priest battles throughout his lifetime. The temptations of the flesh have a power his vocation is hard pressed to withstand. The Ugly Priest reveals a vocation in shambles, deteriorated not only because of Father Bernard’s moral lapses but also because of his life’s lack of substance and value. His duties at Immaculate Conception Parish on the West Side of Chicago are tedious and distressing. The sin, dying, dishonesty and infidelity of his parishioners drains him. Deepening his distress is his life at a rundown, disintegratng parish with an outdated liturgy and a pastor who is a rude, spiteful and offensive old man. Father Bernard’s attempt to save himself from his cheerless, desolate life leads him down a dangerous path. Can he salvage his failing vocation and repair his troubled soul? Will he find the strength to restore the spiritual meaning and substace that once guided him as a priest? 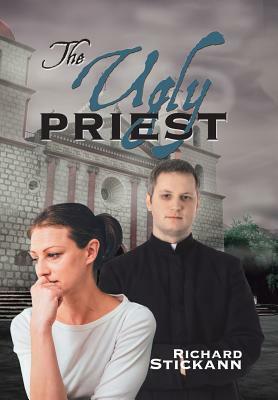 The Ugly Priest is telling story of a priest’s missteps with the women who haunt his life, and his struggle to repair his soul and restore his vocation. It is a story of deceit, vulnerability and the loss of commitment; it displays the devastation of human frailty and reveals weaknesses that even a priest can’t escape. To ask other readers questions about The Ugly Priest, please sign up. I have deeply conflicting feelings about this book. So much so that, before beginning this review, I contacted a devoutly Catholic friend of mine to gain some insight into the issues involved that I (as a non-believer) may be misunderstanding or misinterpreting. The resulting analysis is my own, but I am indebted to her for her illumination on the Catholic faith and the issues faced by the institution in modern times. On one level The Ugly Priest is a deeply intimate story of a religious mans struggle to reconcile his earthly nature with his spiritual aspirations, whilst simultaneously labouring under the oppression of an apathetic congregation and hostile mentor. Personally I felt that this book explored, not the troubles facing a willing but weak priest, but in fact the mental and emotional breakdown of a man who has spent his entire life on the wrong path and is psychologically incapable of recognising and rectifying that mistake. The result is a main character who is wracked with guilt, anger, despair and loneliness, and instead of turning to his faith or his religious peers for spiritual sustenance instead relies on drink, the counselling of his housekeeper, and his own tortured mental processes. Indeed, he seems to treat his faith as a sort of ritualistic fetish, paging his way through the saints to pick which might be luckiest for him whilst neglecting his duties to his own spirit and those of the congregation under his care. The greatest insight my friend was able to shine on my issue with this man’s desperation over what amounted to a couple of youthful indiscretions and some innocent correspondence was that priests, nuns, monks and the like are (against common perceptions of the roles) joyful in their calling. To renounce sexual relations is no more of a sacrifice to them than it is to the average married person who renounces all others to cleave to the one partner. The only difference is that the religious person is cleaving directly to their faith. If a married person finds their main focus of every waking moment to be their craving for something outside of the relationship they have chosen then we could confidently assert that they had either married the wrong person, or were not suited for marriage at all. Likewise, I don’t think that Father Bernard’s problems are in his longing for hyacinths and companionship, but in his unsuitability for and unhappiness in the life he has chosen. The story itself is one of detail and intimacy. We are drawn into every detail of Father Bernard’s life, thoughts and feelings, and can feel his despair and decline as events slowly unfold. The frustration for the reader is that as an outsider we can see that most of the conflict arises in his own troubled mind and in fact is easily remedied if only he could find the peace he needs in order to think rationally about it. Unfortunately there is a distinct lack of any good role models in religion or morality that he can turn to for succour or support (which is in itself quite a depressing commentary on the state of the Catholic priesthood perceived through the lens of this novel). Just one positive, engaged religious figure in this story would have shifted my perceptions of it into a more uplifting and hopeful mindset, but as it stands I found that this was a somewhat disheartening read. The small and surmountable problems faced by the protagonist become overwhelming and mountainous, until I felt as defeated and emotionally ‘ugly’ as he convinces himself to be. I feel that maybe a religious reader would take more, or different, values from the book than myself, but would hesitate to recommend it. This is not because it was not a good book, because it was in fact well-written and well-conceived. The author clearly has a lot of knowledge and experience in the subjects he represents and that enthusiasm and fervour translates into a wealth of religious information that is fascinating whether you are a believer or not. My concern is that his enthusiasm does not translate to his characters and that potential aspirants to the Catholic priesthood might be discouraged by the bleak picture painted here. From my conversation with my friend, the lack of engagement with the faith, and dearth of new applicants, is a serious problem for the modern church and perhaps this poor ‘ugly priest’ may add his own heavy burdens to the already considerable weight of negative public perception…? He never forgot. Twenty years a priest and he still remembered countless times; each time those wonderful and bizarre days of his adolescence arose and the thought veered to the viaduct; when from somewhere, or maybe someone who passed or just in his imagination, the smell of hyacinths wafted near him; when his vocation faltered and thoughts surfaced of that second kiss. He raised his face toward the ceiling of the cab and exhaled a noise from his throat that disturbed him. He recognized it; that imperceptible puff of air rising from his chest. That regular sound of embarrassment and shame his body crafted whenever thoughts of Jennifer surfaced. A deep inhale and a rapid exhale. His head shook slightly. Staring out the taxi window at the passing homes, his breath built a vapor on the glass with each heavy exhale. The waft of hyacinths continued to fill his nostrils. Jennifer Rowland. Don’t walk past this book! Richard Stickann has written a book that both enlightens the reader’s understanding of the dedication a man lives and guides his parishioners as he becomes God’s shepherd leading his flock to understanding the teaching of Catholicism . He is dedicated to inspire and holds them up when life becomes too difficult to follow their religion as God taught in the New Testament. .
Stickann’s own study of the Catholic religion is obvious as he explains the details and words spo Don’t walk past this book! Stickann’s own study of the Catholic religion is obvious as he explains the details and words spoken in the church services. The attempts he writes as the good Shepard tries to communicate with the aged priest who has soured with the world, his own congregation, and to his colleagues. These days, this is just another priest in trouble story on the coattails of the news. However uncomfortable this might make you, this is a well written book.